Amongst the cacophony of noise around Brexit, I was greatly struck by this comment made by Mrs May in response to criticisms of her Chequers plan. Her assertion is predicated on the belief that there is this collectively shared concept of the ‘right thing’. It is however becoming increasingly difficult to calibrate what this is. The corrosion of public trust in all kinds of authority as well as the pitch forkery culture prevalent on social media platforms, makes taking the high moral ground a very lonely place. Yet now, more than ever, the belief in doing the right thing, whatever the challenges, matters. As the leader of a Foundation of schools I am deeply troubled by what our learners are witnessing beyond the school gates. A pervasive tendency in public life to play fast and loose with the facts serves to create a chaotic sense of our world, to the point where doing the right thing is less than clear. I read with interest recently an article in the Washington Post entitled ‘“Nothing on this page is real”: How lies become truth in online America’. The journalist gave an account of how a liberal blogger deliberately made up provocative untruths only to reveal the deceit after thousands of people had engaged with him spreading his lies virally. Most disturbing was an insight into the mindset of those who actually refused to believe the blogger when he “outed” his fake news. They still chose to believe the original untruth as it fitted with their world view - confirmation bias at its most extreme. Such are the real and present dangers to our democratic society, it is now urgent and important to ensure education in our schools is offering a learning environment which prizes critical thinking. The national obsession with league tables is answering the wrong question. It is laudable if students can pass tests but does this mean they can think independently, question thoughtfully and through intelligent engagement make a positive contribution to the world? Unless we stop to consider the direction of travel for our students in our schools we are in danger of ill equipping the next generation for a world where truth is hard to find. We must all acknowledge that education has a higher moral purpose. It is not merely the tick box experience that the initiatives of successive governments have made it out to be. We must ensure our young learners understand how important it is to do the right thing, however hard that may be. We, like other educators across the country, are grappling with how this higher moral imperative can be achieved in a school setting with the demands of our national assessment framework and pressure on curriculum time. However, for me, this is more about mindset than allocation of time. As a Foundation we have embraced the United Nations 17 Sustainable Development Goals (SDGs) which set out a framework for transforming our world. The aim is to encourage our young learners to appreciate what “doing the right thing” can look like in a very real sense, and to empower them through creating shared values across our school communities. Last summer we had the privilege of listening to an address by Dr Emily Shuckburgh OBE, an internationally renowned climate scientist, at our 11-18 Speech Day who demonstrably was “doing the right thing” through her research into climate change in Antarctica. Her observations of what is happening through global warming served to crystallise the moral imperative behind the SDGs globally. Such experiences are designed with two outcomes in mind: to inspire our young learners to want to make a positive difference and also to think for themselves. We need them to be asking the probing questions and perhaps even asking them in different ways. 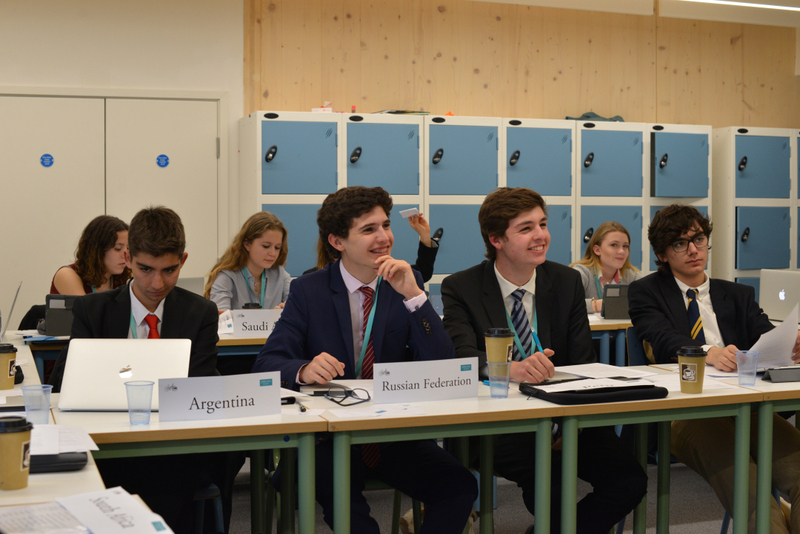 Earlier this year, we hosted the inaugural high-school level Cambridge Model United Nations (CamMUN) which saw sixth formers from across the world descend upon the Foundation to have their say around a topic decided by them. 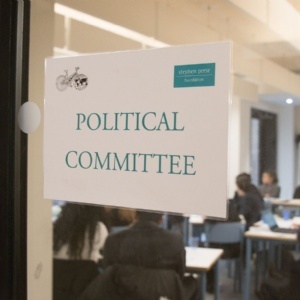 Pertinently, given the tide of events globally, next year’s CamMUN will focus on “Combatting the rise of nationalism in an increasingly hostile world”, with many committees and discussion topics forming within that theme. Let’s never lose sight of this because otherwise the “right thing” will become a chimera beyond our reach.